TUNBRIDGE WELLS HINDU SPIRITUAL GET TOGETHER & BHAJAN. 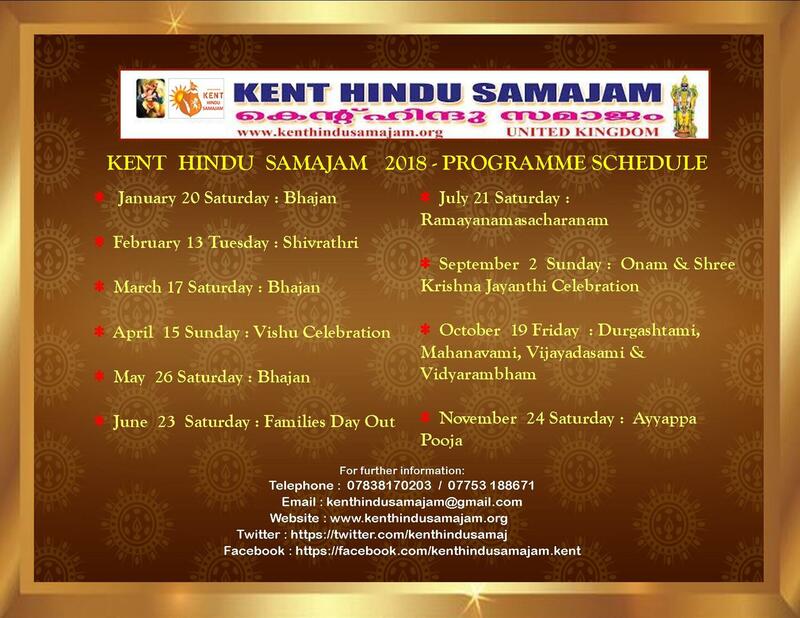 This Month's Kent Hindu Samajam Bhajan and family get together to be held on Saturday, 23rd February 2019 from 5:00 P.M. (17:00 Hrs) at Pembury Pavilion Parish Hall, Lower Green Recreation Ground, Lower Green Road, Pembury, Kent, TN2 4DZ . 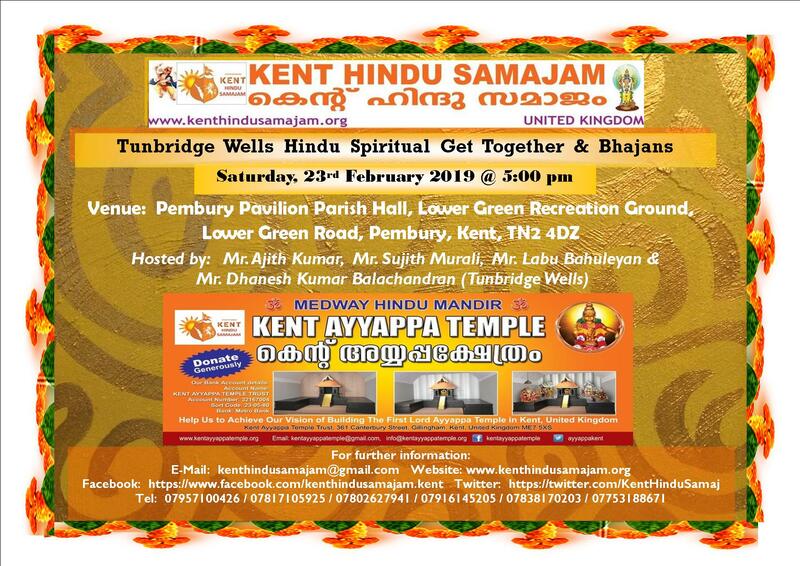 Mr. Ajith Kumar & Family, Mr.Sujith Murali & Family, Mr. Labu Bahuleyan & Family & Mr.Dhanesh Kumar Balachandran & Family (Tunbridge Wells) will jointly be hosting the event for Kent Hindu Samajam..
Kent Hindu Samajam a non-profit voluntary organisation dedicated to the principles of Hindu Dharma .We organize religious and cultural functions, which includes celebration of festivals, lectures, music and dance performances by distinguished visitors and members of the local community on a regular basis to give our children and adults many opportunities to have a glimpse of the hindu culture. 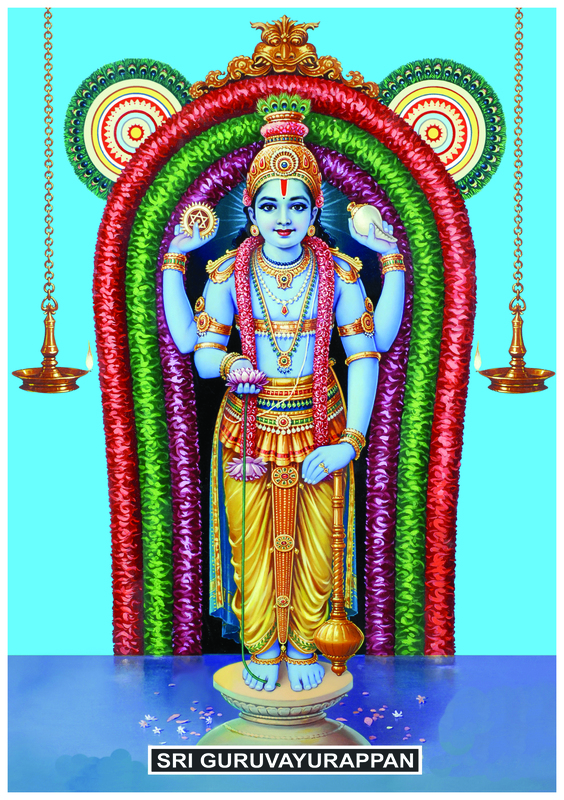 Hinduism is recognized as the most ancient and one of the major living religious traditions of the world ,it allows a great deal of freedom of thought, faith and worship. Hinduism is a way of life and culture in which several religious practices are harmoniously blended and bound by the common bond of 'Dharma'. 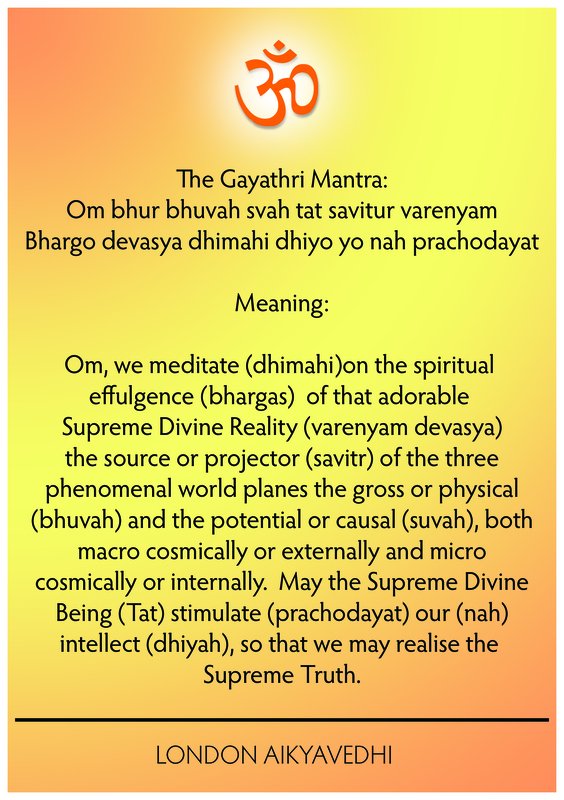 The basic principles are based on the 'eternal laws of nature' which can be rightly defined as Sanatana (eternal) Dharma (laws of nature). 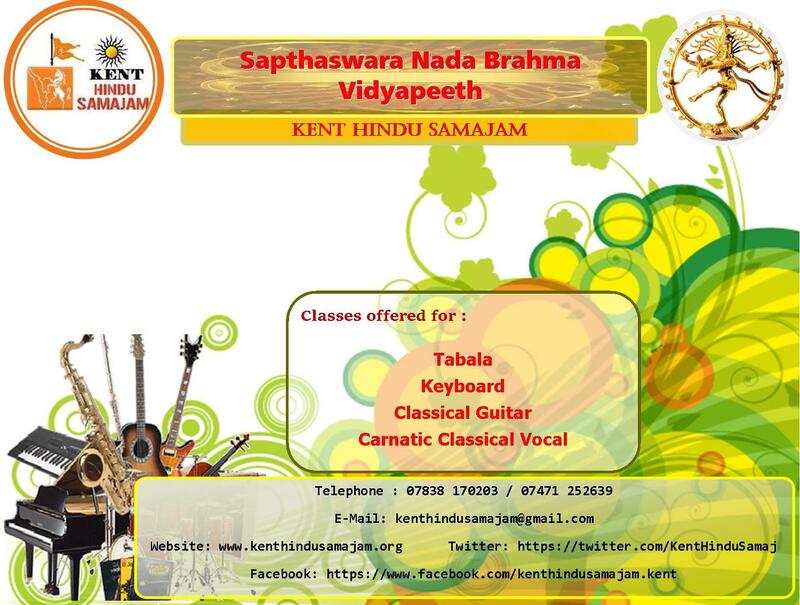 Kent Hindu Samajam aims to promote inter-racial harmony and to promote consciousness and undivided loyalty to the United Kingdom.